As a homeowner, you know that timely repairs can keep things in order and prevent pricey renewals and replacements. However, those measures can only work until so long and eventually, you’ll have to get replacements down the line. Your roof plays a crucial role in keeping the energy bill low and keeping the internal environment comfortable. However, it won’t last forever and you’ll have to get it replaced to prevent energy waste and uncomfortable drafts. The first sign of a damaged roof is that you are getting a much higher energy bill than usual. This will mean it’s costing much more to cool or heat your home. The reason could be a draft due to over-insulation that causes a gradual breakdown. If you think it’s highly unlikely that you’re overheating or cooling your home, your faulty roof is at fault. Hence, you should consider replacing it. The key to keeping your roof in the best condition is to ensure proper ventilation in your attic. This allows hot air to escape and prevents condensation, which leads to moisture buildup in your insulation and eventual degradation. Check to see if the outdoor temperature and the indoor temperature of your attic is the same. If you can’t notice any ice dams or the paint peeling back, you can take measures like ensuring proper ventilation and opt for a water shield on your roof to save your roof from further degradation. When you see some missing shingles on your roof, it’s an obvious sign to replace it as soon as possible to prevent a higher energy bill. 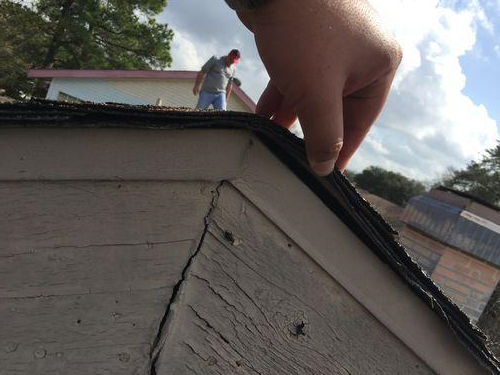 But you shouldn’t wait until you can notice missing shingles; make a trip up to your roof to see if the shingles are out of place, a clear indication that you need to replace your roof. Shingles buckle up because of moisture accumulating in the attic, which puts pressure on the nails and forces the shingles upwards. If you can notice spots of green growing on your shingles, this is a sign that bacteria have eaten away at the shingles’ waterproof coating. Cheap roofing will only have fillers like limestone, which makes them cheaper to manufacture. The algae growth can eat through this, which results in black streaking and makes your roof susceptible to water damage. If you don’t allow adequate ventilation in the attic, the worst-case scenario is that the condensation and warm temperature will allow mold to grow and feed off your insulation. If you can notice mold growing along the walls of your attic, this is a dangerous sign that you should get your roof replaced as soon as possible, considering that mold is actually a health hazard. By keeping these points in mind, you can prevent paying hefty utility bills and know when it’s time to get your roof replaced. A professional roofing company will do best since they’ll give you crucial information as to how you can make your new roof last longer.